Spice Lime: I Heart San Francisco! So we just returned from a vacation to San Francisco! Why was this trip so special? Because I won it! Yes, my entry into Hyatt's For Kids by Kids Family Cook-off was the grand prize winner of a 5-night stay at any Hyatt hotel of my choice in the USA, Mexico or Caribbean. After much deliberation, the hubby and I decided on San Francisco. Neither of us had even been to the West Coast, and I have wanted to visit California for as long as I could remember. On Tuesday, we arrived in style at the Grand Hyatt in San Francisco. This hotel is simply amazing! First off, their location is excellent, in downtown SF, super close to Union Square, Chinatown, and the cable cars. If you like walking, you can trek it to the Embarcadero waterfront (Ferry Building! ), as well as to Fisherman's Wharf. The views from our suite were spectacular! We could see so much of the city and the bay with floor-to-ceiling windows. On our last night, we even saw a fireworks show out over the bay. There are cool techie touches in the rooms. Automatic window shades that open and close with the touch of a button near your bedside. Smart TVs. There's even a tv built into the mirror of the bathroom. Very cool stuff. The team at the Grand Hyatt San Francisco showered us with warm hospitality. So many of them took the time to chat with us and engage our young kids. Sometimes as a parent you worry that your little kids will be seen as a bother, but here they embraced our kids and their energy. I had planned to eat my way through the city. Of course, with two little kids and some jet lag, that didn't happen quite as well as I hoped. I did make it to a few spots though. Here are a few of our favorites! 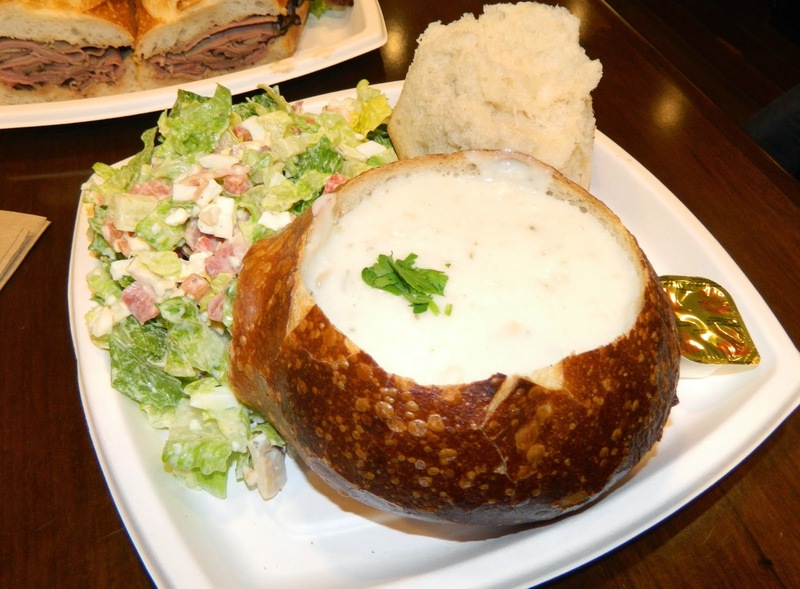 Boudin's Clam Chowder in a Sourdough bowl. One of the best clam chowders we've ever tasted. The shrimp dumplings and pork & shrimp dumplings from Good Mong Kok Bakery in Chinatown. I planned to get a better picture, but the dumplings disappeared too fast. Sorry. Delicious dumplings pictured on right. Codmother Fish & Chips on Fisherman's Wharf. Super-friendly folks, great service. Huge pieces of fried cod and finger-lickin chips. The fish tacos are also good, with their creamy baja sauce and slaw. For dessert, feast on deep-fried Oreos. Yes, I did say deep-fried Oreos. Yum. We drove to Napa and Calistoga on one of the days. 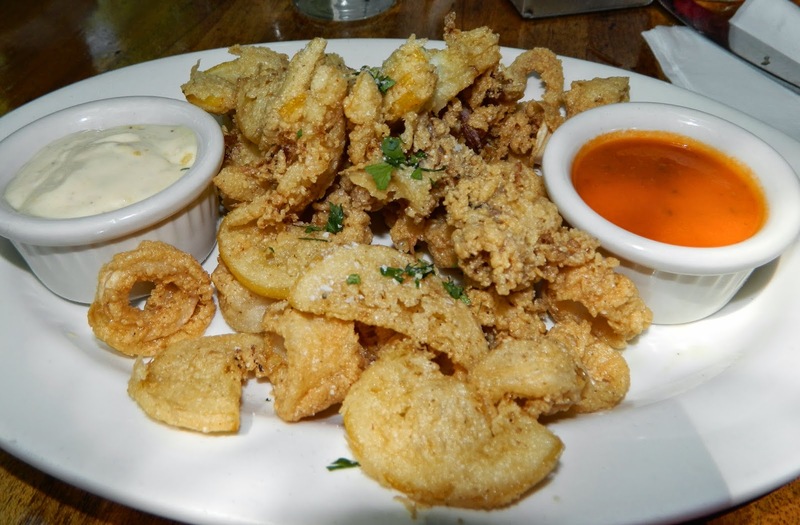 You must try the Calamari Fritto from Pizzeria Tra Vigne in St. Helena. Make sure and add the fried lemons! 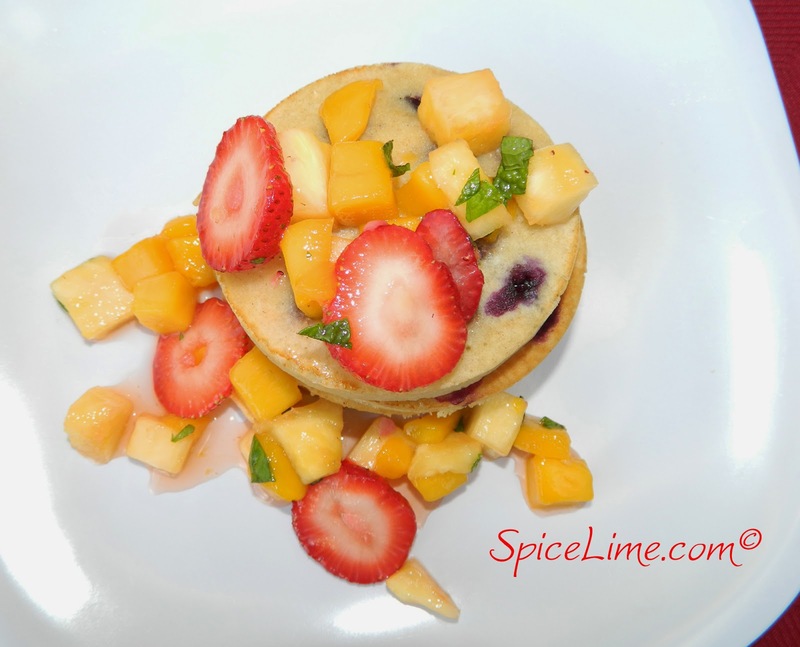 Here's a shot of my Blueberry Cinnamon Pancakes with Honey-Herb Fruit Salad. Look out for it this summer on the For Kids by Kids menu at Hyatt hotels nationwide! San Francisco has the most beautiful dusk sky I have ever seen. These pictures do not do it justice, but you can get an idea. As it got darker, it was the clearest cerulean blue. Simply breathtaking.